The way the different shades of red in this plaid are separated by a thin blue line makes it look as though the shirt isn’t so much plaid as patterned with a network of differently shaded red squares. In a rare mix of styles, the shirt is non-western style, but still does up with snaps like their western-cut shirts usually do. 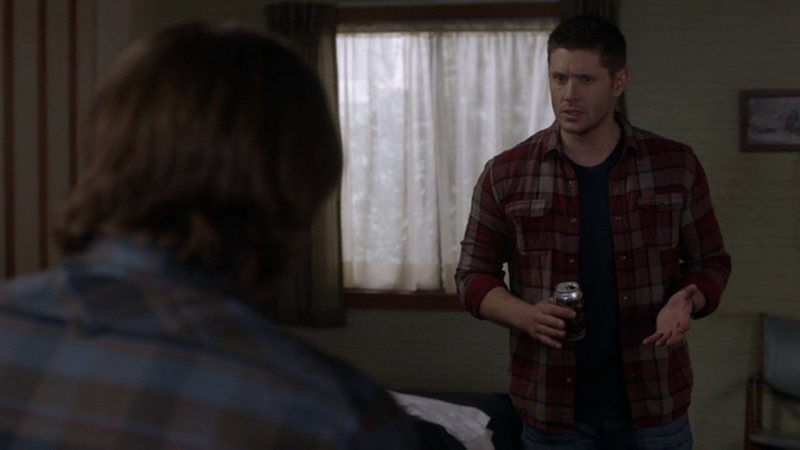 In Safe House (11x16), Dean wears this shirt when he and Sam are researching in the motel after having dug up the graves and confirmed that they are not working with a ghost.